Truth or dare — not one of Orpheus's favorite games, if he's being honest. He tends not to enjoy putting his fate in someone else's control with dare, and truth means spitting out god knows what. Well then again, he's never really played this game with the good guys. It had always been with people that were rambunctious and cruel, just a little too alive and needing to prove it. At least he wasn't the person who'd gotten the dare to eat sand with every meal for the rest of the day. Maybe this game would go a little bit nicer, since they were playing with an ally and The Ascendants themselves were a gentle sort of people (there were too many children to allow for much else). He's even sort of looking forward to it, the long trek to Sunhaven's border only building on that. It's pretty here — much prettier than The Rosebloods, though their territory had been soured by the blood than ran across it. He'll trust Clarence's judgement for these guys. The lion sits at the border with his tail over his paws, his own standard basket next to him. He always felt weird going places without something to offer, so even an invite comes with various puzzles and games. As Orpheus waits for someone to approach him, not quote willing to shout for attention as he'd heard some others do, he fiddles with one of the puzzles on top. It was a strange metal things with interlocking pieces, the goal being to separate them eventually. It was like untangling a slinky: tedious, annoying, but oddly rewarding. Eventually. He even keeps himself from frowning at it. 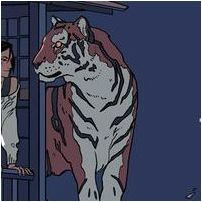 perhaps the other would recognise her scent, the tigress carrying the rough scent of cruel heat on her pelt alongside the sea breeze commonly accredited to sunhaven. approaching him, she dipped her head in greeting, "hello orpheus, it has been quite a while. are things well in the ascendants?" she asked, tipping her head. 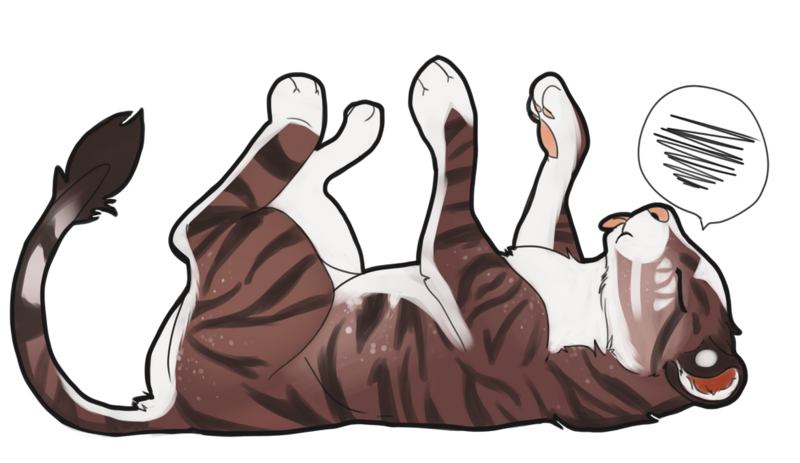 ariside wasn't always so eager to drag her own tail through the dirt, but she supposed that she owed the other group and feline a greeting, even if it might be tedious and strenuous on her other alliance. shaking her head, she gave a warm smile, "anything i can get you? water? alcohol if you like it?"